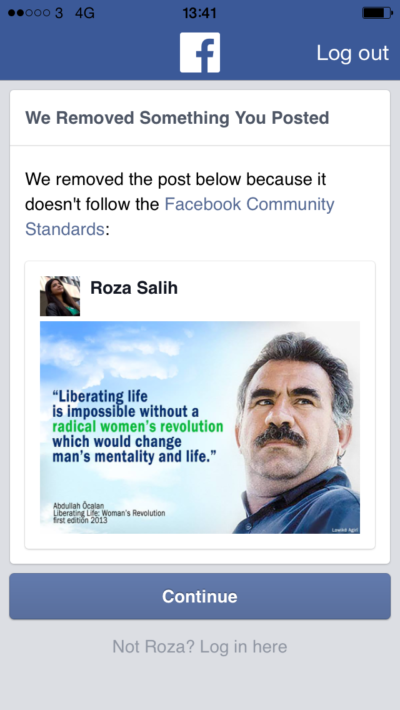 Facebook has banned Glasgow Girl Roza Salih for posting a photo of imprisoned Kurdish leader Abdullah Ocalan alongside a quote that read: “Liberating life is impossible without a radical women’s revolution which would change man’s mentality and life”. Salih, who has a 2000 strong network on Facebook, is one of the original Glasgow Girls and Facebook’s censorship of her views prompted condemnation from politicians and a freedom of expression campaigner. As schoolgirls the group campaigned against dawn raids by the Home Office to detain and deport people seeking asylum. Their story became so famous it was immortalised in a musical and a BAFTA-winning TV drama. 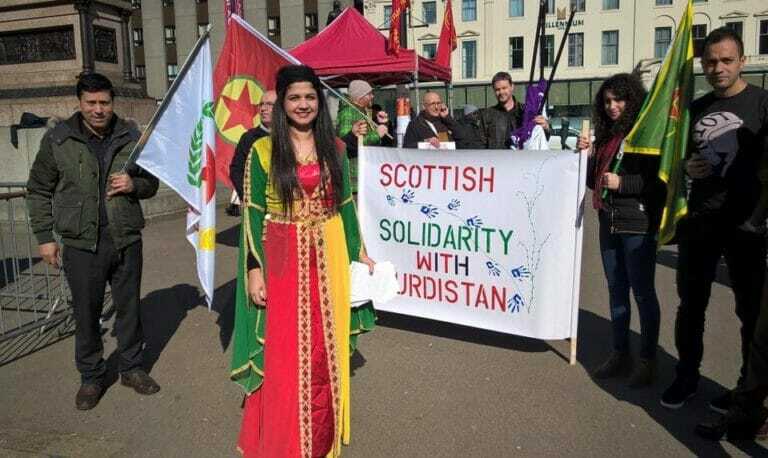 Roza Salih in Kurdish dress at an anti-racist rally in Glasgow last month. The Kurdish people, who are stateless and spread out between Iraq, Turkey, Iran and Syria, have long campaigned for an autonomous Kurdish state in Iraq. They have often faced human rights abuses there and also at the hands of the Turkish state. The PKK Kurdish party has had an armed element, leading to its appearing on US and EU terror watchlists. However leader Ocalan has appealed to followers for peace; many policitians and publications have asked for the party’s delisting as a terrorist organisation; and the PKK has been on the frontline fighting Islamic State. Salih is worried about the impact of the ban on her work as an activist, and on a trade union trip she is making to Cuba soon. She was hoping to share news from her trip with her network of contacts on Facebook, but says she has now been silenced. 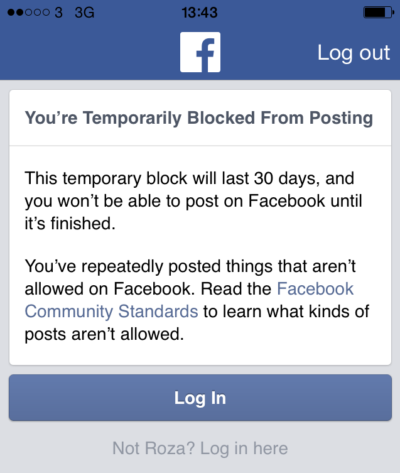 Roza Salih was banned for 30 days by Facebook for posting a cover image of imprisoned Kurdish leader Abdullah Ocalan. Facebook has been known to outsource its moderation, with lowly paid workers deciding on whether users should be banned or not once they’ve been flagged up. 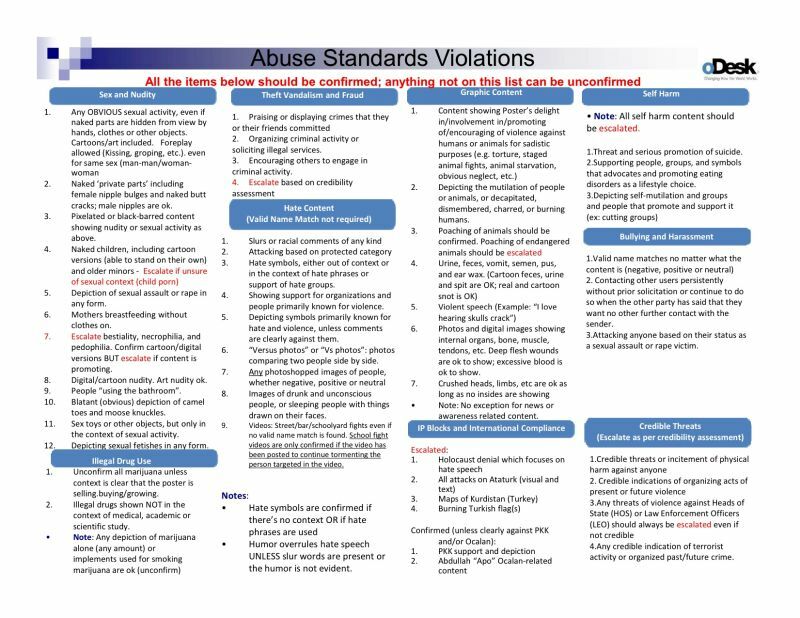 A list of items that could have users banned from a leak in 2012 included any positive mention of Ocalan or of his PKK party. Negative mentions of him or the party, however, were allowed under the rules. No other political leaders or parties are named explicitly by Facebook in the same way – although all posts related to ‘terrorism’ seem to be deemed fair game. Nonetheless Salih’s account remains locked. Scottish National Party MEP Alyn Smith, who recently argued for the delisting of the PKK as a terrorist organisation by the EU, said that he thinks Facebook’s stance on Kurdish issues illustrates a wider point. “We live in an age where more and more people are accessing their information, actually, via fewer and fewer sources, usually private US Corporations who actually have no obligation to consider the Public Good in their actions. “Between them, Facebook, Google and Twitter account for the lion’s share of information, and yet they are subject to limited scrutiny in terms of their policies. Other politicians also expressed worry about Facebook’s actions. Liberal Democrat justice spokeswoman Alison McInnes said: “These reports are hugely concerning. Clearly no-one wants a situation where grossly inflammatory, offensive or illegal content is shared via social media but there should be no question of legitimate political campaigning being restrained. Ross Greer, Europe and external affairs spokesperson for the Scottish Greens, said: “The censorship of Kurdish activists in Turkey and across the world is seriously concerning. Stephen Smellie, co-convener of Scottish Solidarity with Kurdistan, who also works for UNISON, said: “The international campaign for the release of Ocalan and the delisting of the PKK is gaining momentum, with support from key politicians and activists throughout Europe. Ocalan is a key figure in the peace prcoess which Turkey has now abandoned. Ocalan has for many years campaigned for a peaceful and democratic solution within Turkey, yet has been kept in solitary confinement and unable in recent years to see his lawyer or family. “Over the years he has managed to publish a roadmap to a peaceful solution and negotations progressed – until February last year when Erdogan abandoned this. We are campaigning now to have him released as part of securing an ongoing peace process. Jillian C York, the founder of internet censorship watchdog site Online Censorship and director for international freedom of expression at the Electronic Frontier Foundation, says that she thinks the problem is on the rise. “I would say that there was a rise a few years ago when Facebook first realized that it was at risk of blocking in Turkey – that is the point at which their compliance with Turkish demands/law increased and their relationship with the government strengthened. Earlier this month the Turkish government asked for a German comedian to be prosecuted for writing and performing a satirical poem about its president Recep Tayyip Erdoğan. It is also cracking down on media within the country. 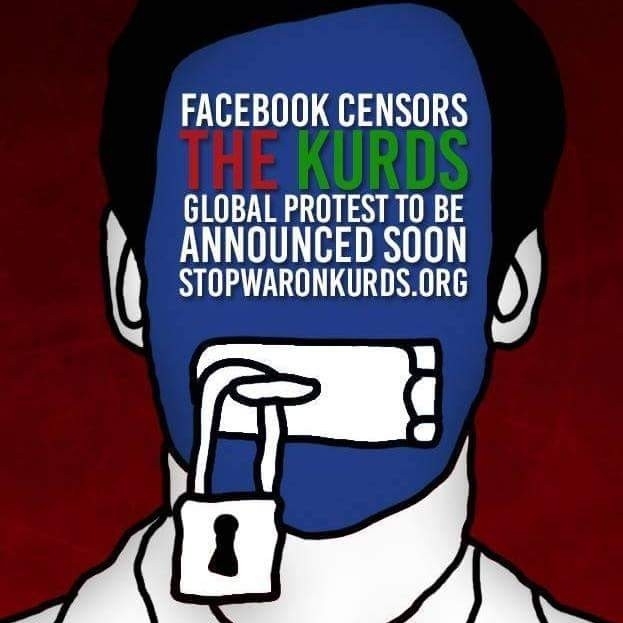 Is Facebook cracking down on Kurdish content, or is there a big rise in users complaining about it? York did add that she didn’t believe Facebook was necessarily targeting PKK over other organisations on the US terror watchlist. “The reason that more PKK content gets flagged varies… it could be that Turkey employs government flaggers who search for such content, or it could be that the flames against the PKK spread by the Turkish media have been internalized by the populace and thus flagging occurs at a higher rate against the PKK than it does, for example, in Lebanon against Hezbollah. 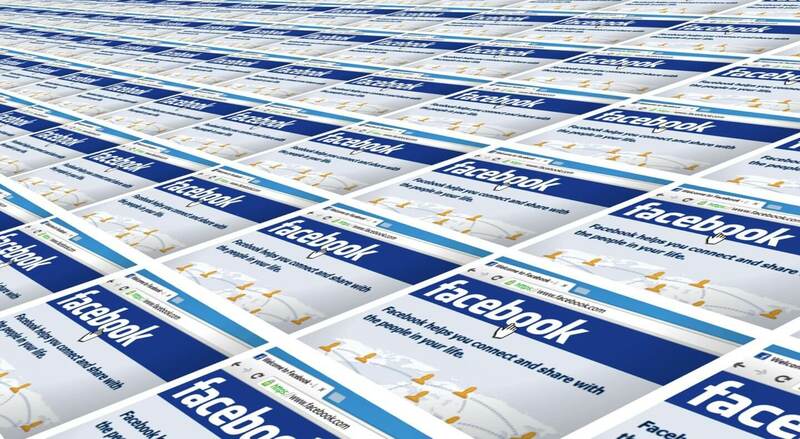 York added that Facebook’s “editorialising” could affect freedom of speech and democracy. Next Thursday Scottish Solidarity with Kurdistan – chaired by Salih in partnership with UNISON’s South Lanarkshire branch secretary Stephen Smellie – will be officially launched at Strathclyde University. Later in the month a trade union backed-campaign will be launched at the House of Commons by Labour MP Kate Osamor and chaired by Sir Paul Kenny, former general secretary of GMB, to call for Abdullah Ocalan to be freed. A good example of why I rarely bother logging to pathetic facebook!